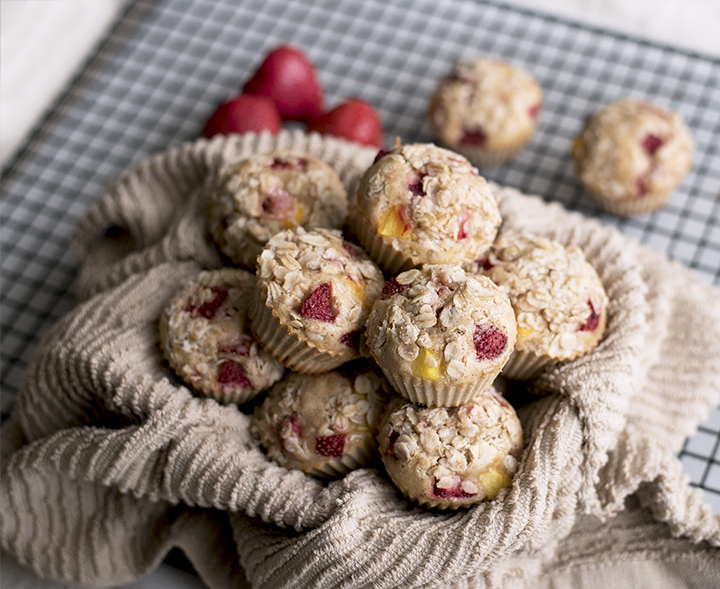 Summertime isn’t complete without these easy to make sweet and fluffy protein muffins. 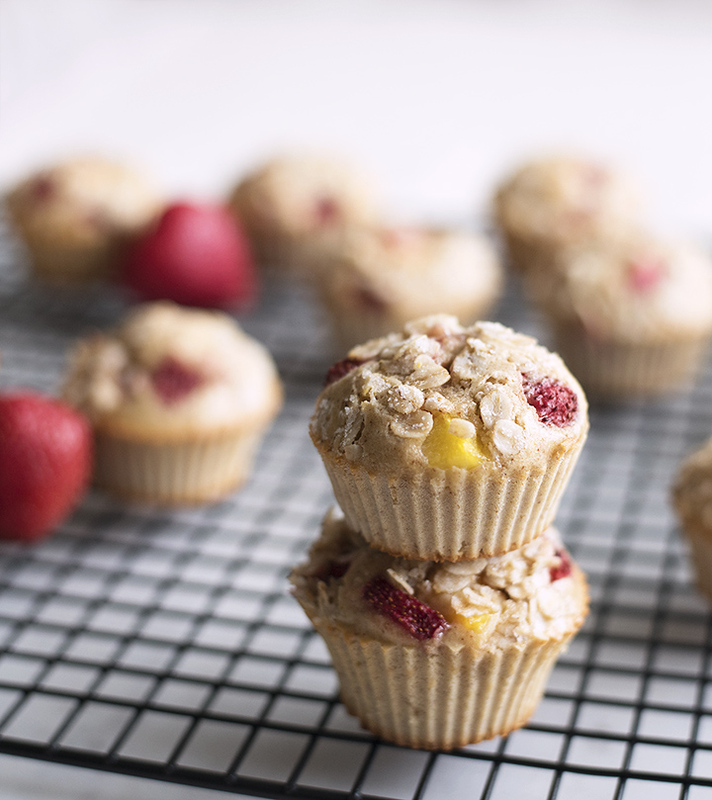 You’ll get a little tartness from the fruit and an added crunch from the crumble topping, making these muffins a great combo of flavors and texture! 1. Preheat oven to 350 degrees F. Place 14 silicone muffin molds on a sheet pan and set aside. 2. Whisk together eggs, cashew butter, and almond milk in a mixing bowl. 3. 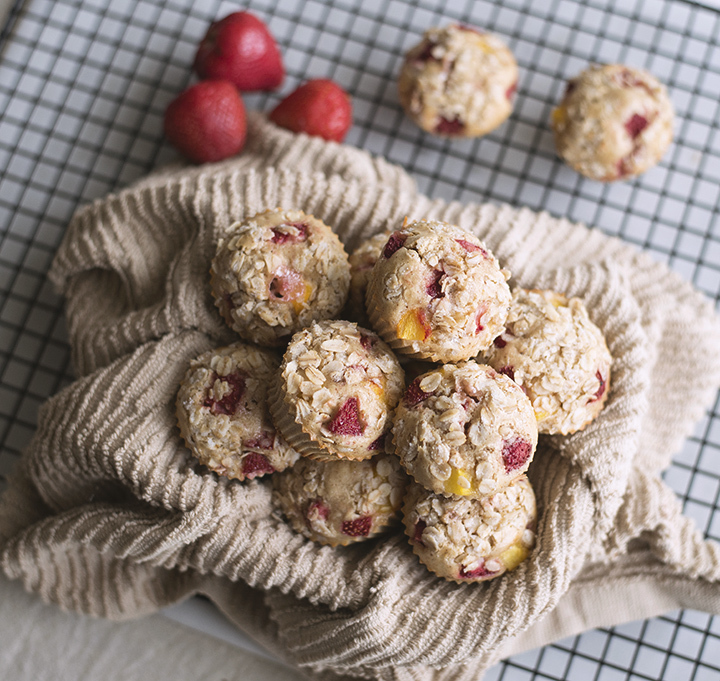 Whisk in oat flour, protein powder, xylitol, and baking powder until smooth. Gently stir in the strawberries and peaches. 4. Evenly spoon muffin mixture into each muffin mold. 5. Stir together topping ingredients and sprinkle on top of each muffin. 6. 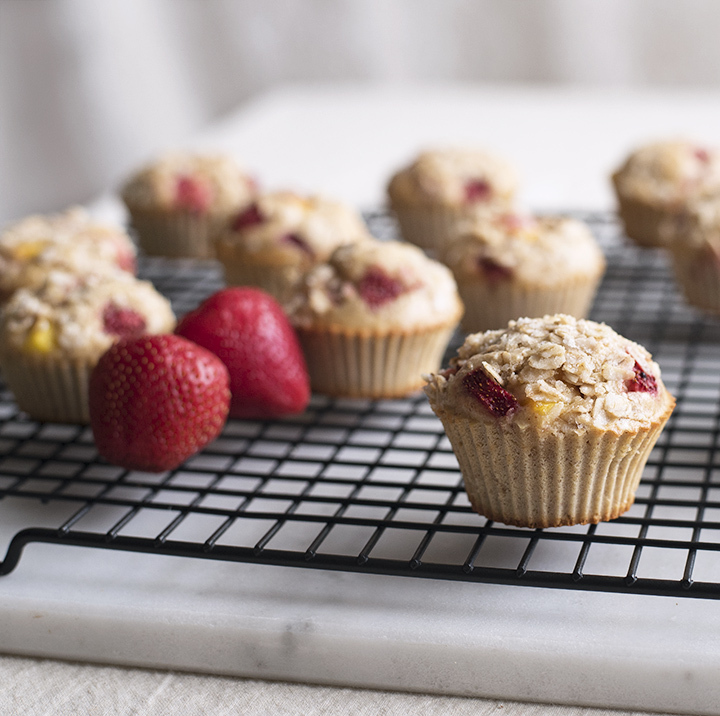 Bake muffins in the oven for 18-22 minutes, or until toothpick comes out clean when inserted into center of muffin.